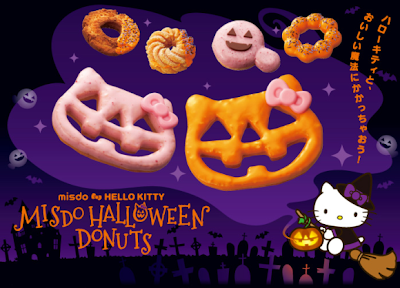 October is the time for delicious autumn food and snacks and Mister Donut has joined the party with a new range of Hello Kitty Halloween Donuts. This is yet another collaboration between Mister Donut and Hello Kitty after they released a range of popular donuts back in April. The special edition Hello Kitty Halloween Donuts come in either pumpkin or strawberry flavours. They include a Jack-o-lantern Hello Kitty Pumpkin, Jack-o-lantern Hello Kitty Strawberry, Strawberry Ghost Whipped Cream, Pumpkin Old Fashion, Pumpkin Whipped Cream French Cruller, and Pon de Pumpkin. 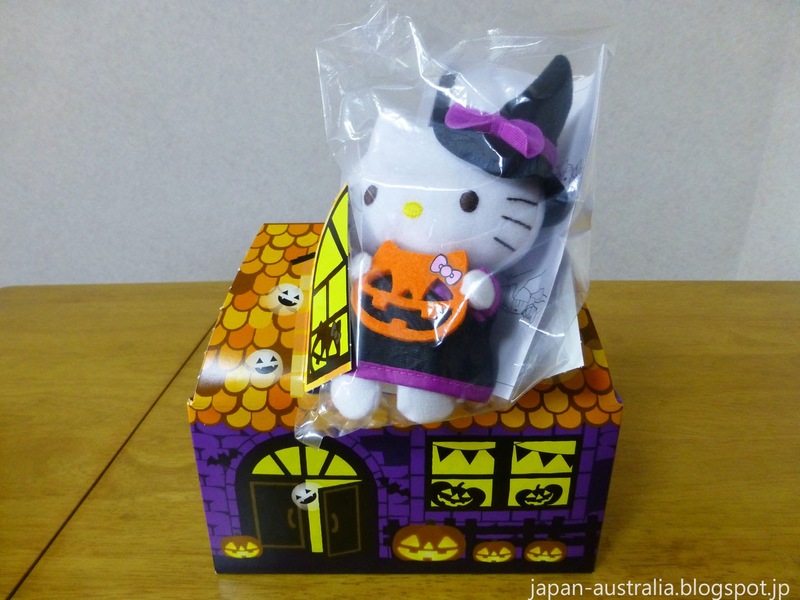 You can pick up a limited edition Hello Kitty special Halloween box set of seven donuts with a cute Hello Kitty stuffed toy in witches outfit for 1000 yen (USD$10) while stocks last. The Hello Kitty Halloween Donuts went on sale on September 25 and will be available for a limited time in Japan. The Mister Donut Jack-o-lantern Hello Kitty Pumpkin (¥126) features a cute Hello Kitty style Jack-o-lantern face with Hello Kitty’s trade mark pink bow. The pink bow is made from white chocolate and is very tasty. 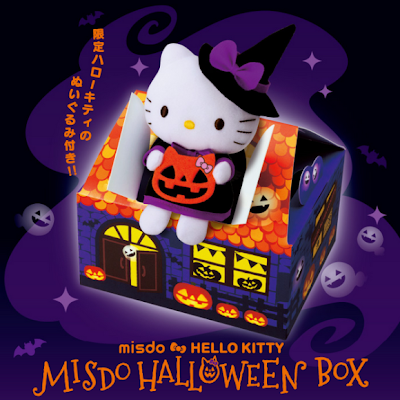 The Mister Donut Jack-o-lantern Hello Kitty Strawberry (¥126) features a cute Hello Kitty style Jack-o-lantern face with Hello Kitty’s trade mark pink bow. The donut is hard and crispy with a sweet strawberry topping. 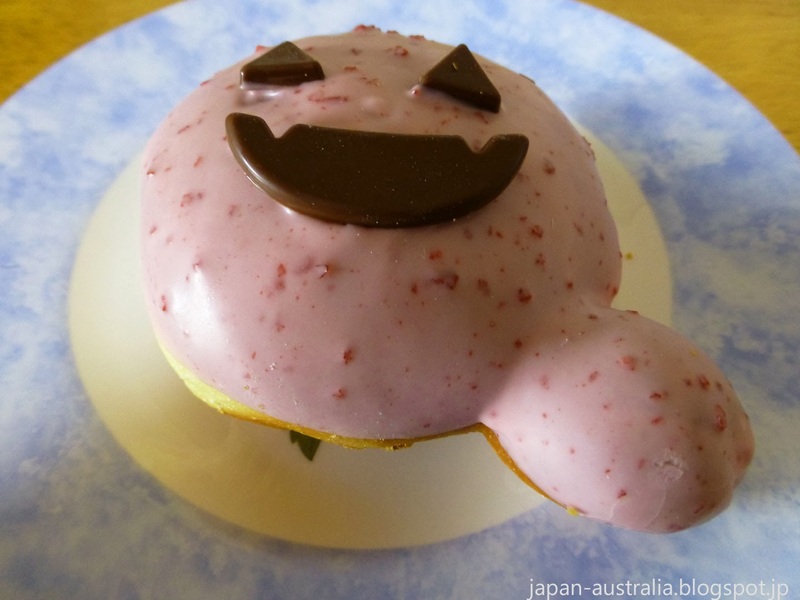 The Mister Donut Ghost Whipped Cream (¥147) is a light fluffy donut filled with whipped cream and coated with strawberry flavoured chocolate. 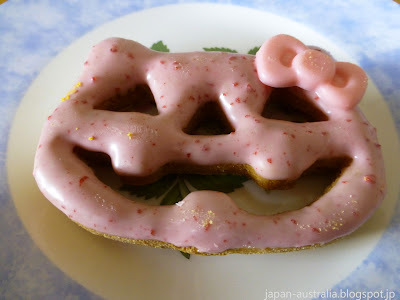 This was out favourite of all the Halloween Hello Kitty donuts. 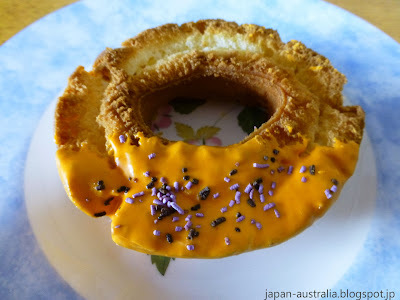 The Pumpkin Old Fashion (¥136) is an old fashioned style donut dipped in pumpkin chocolate and topped with sprinkles. The Pumpkin Whipped Cream French Cruller (¥147) contains pumpkin whipped cream and is coated in pumpkin chocolate and topped with coloured sprinkles. This one was the strongest pumpkin tasting donut out of the lot. 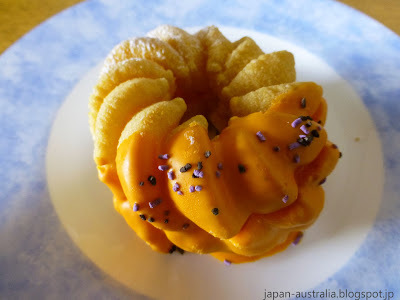 The Pon de Pumpkin (¥136) is one of Mister Donut’s signature donuts with its chewy mochi like texture. 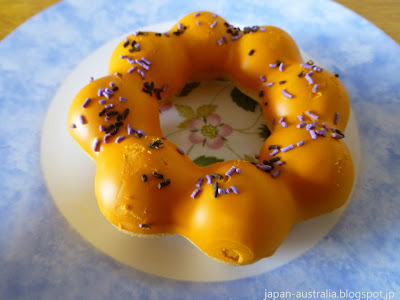 It is coated with pumpkin chocolate and topped with coloured sprinkles. 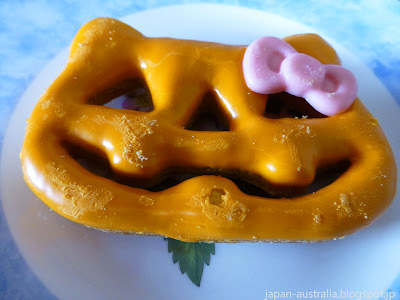 I'm not totally sure how I feel about the Hello Kitty Jack-o-lantern face - it's just a touch creepy, haha. I'm sure it's tasty, though. I'll have to try it! Oh I love the pastries in japan. So much better than the boring old jam doughnut... Give me one of those apple and cheese things or even a red bean cake! Thank you! They were all delicious, especially the Donut Ghost Whipped Cream. I also recently tried the Snoopy Christmas Donuts from Mister Donut. 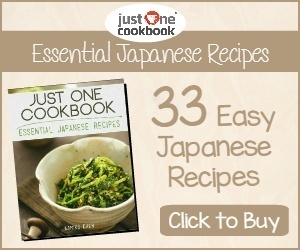 There is always something new coming out in Japan!